In the Youth program students are in class with their age group and their classes are broken down into experience levels. This is just another benefit for our students. The Youth program is for ages 6-9. The curriculum consists of self-defense techniques from hair grabs, pushes, punches, shirt grabs, etc. Of course there are the kicks and punches, but most importantly we focus on more than just the typical training areas. 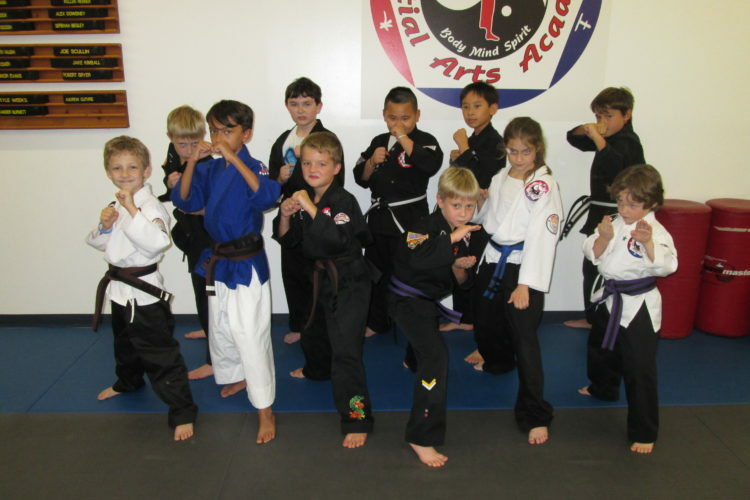 We teach verbal self-defense, how to defeat the bully, etc. Our program teaches them how to focus and have self control. We teach goal setting as well as respecting others.